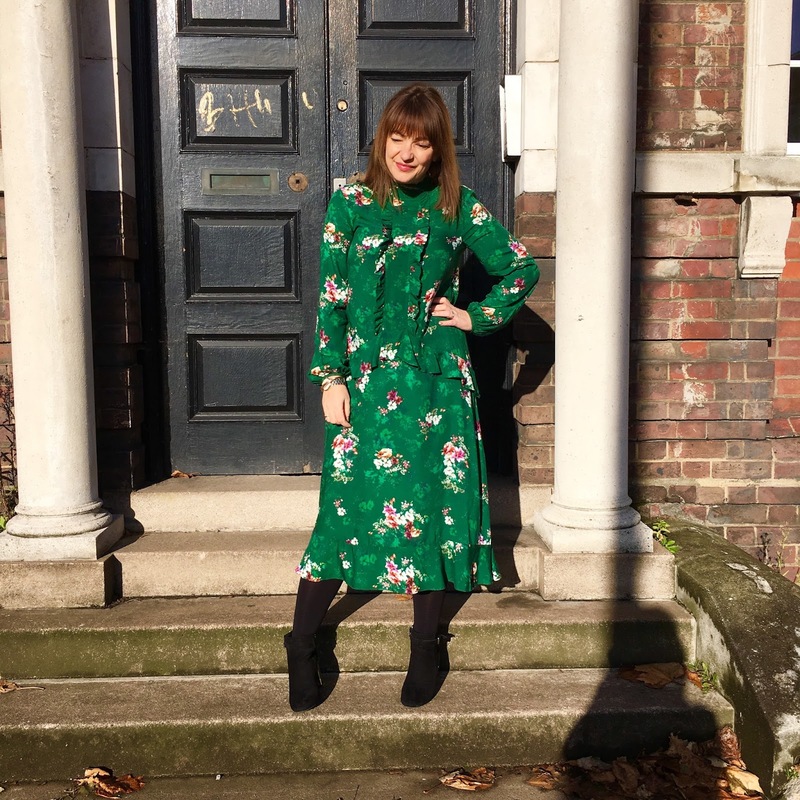 I am so pleased that the midi and maxi floral dresses which is associated more for beachy summer holidays has been transformed for this winter – and it’s everywhere on the high street. And in typical Lizzi style, I feel like I’ve tried them all on, and so this post comes to you straight from the changing room. With a maxi dress, one of the most important considerations is your body shape; especially if you are pear or hour-glass then you really need to think about the waistline of the dress, it needs shape! 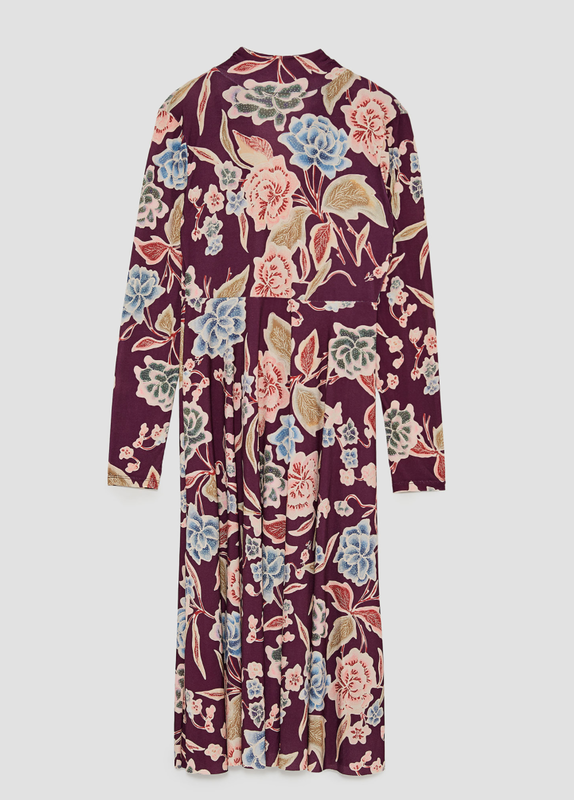 I’ve tried on quite a few straight cut maxi’s and have had to accept the fact that whilst I love the colour and pattern, the dress simply doesn’t suit me, a straight cut are best for those who do not need to emphasise their waists. When you try the dress on, it’s important to look at yourself from behind and take a good look at how much excess material there is floating around. I’ve found you can look super slim from the front and then as soon as you look at yourself from the side and back, if there is too much material, it just makes you bigger – take the dress off and put it back – it is NOT for you sweetie. I truly mean this, have fun with colour – you can accessorise with black, navy or another neutral – a dominant colour, preferably one that suits your natural colouring will bring you so much more joy. Promise. Tip 6 – Get yourself some chunky boots! 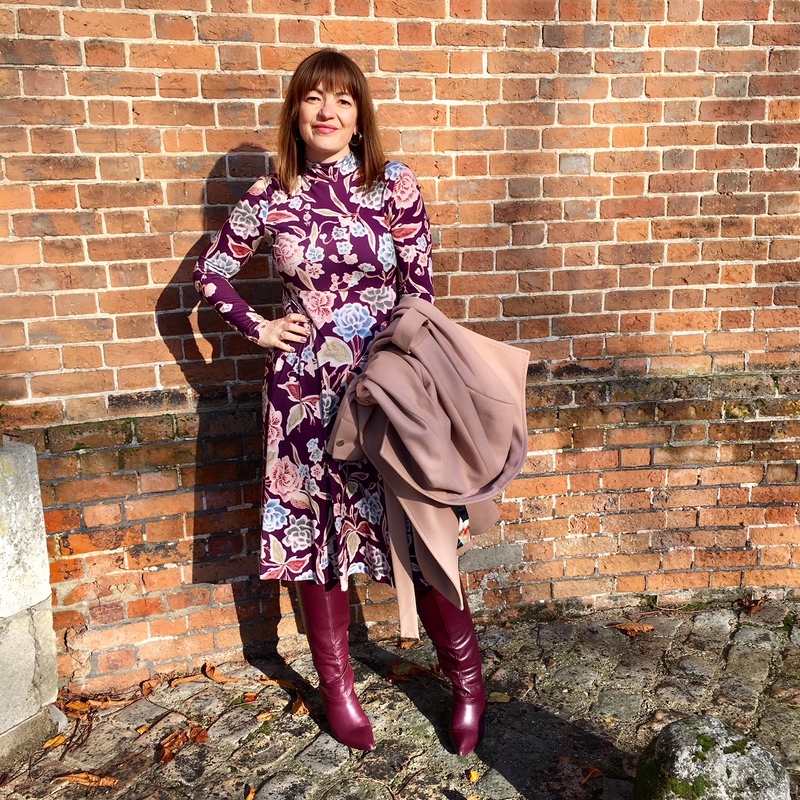 Another super trend this winter is chunky boots – I’m loving mine, only £29.99 from New Look and I’ve worn them lots already. More on that later in this post. Dress – H&M – I’m sorry but this dress it’s not showing online at H&M – you can get this in store I’ve seen them in every H&M that I’ve been to over the last couple of weeks. I went one size down from my usual dress size I found this fitted me a lot better at the back. Boots – New Look for £29.99 – Again there are not online but they are still in store as I saw them today!! I love the gold detailing and they truly are super comfy to wear – I’ve shopped in them for hours! The dress fits lovely and is true to size. Easy care too, I’ve found it super easy to wash and no need for an iron!! Just my kind of dress. 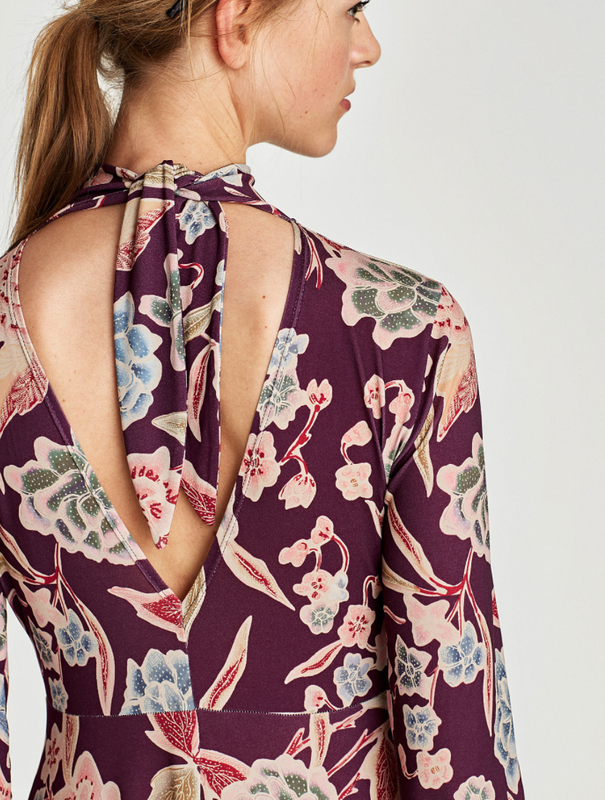 I do have to point out though that this dress has an open back – which so far as been fine for me, but I can’t wear it to work. I’m currently working on a solution for that, but until then this is a weekend only dress. 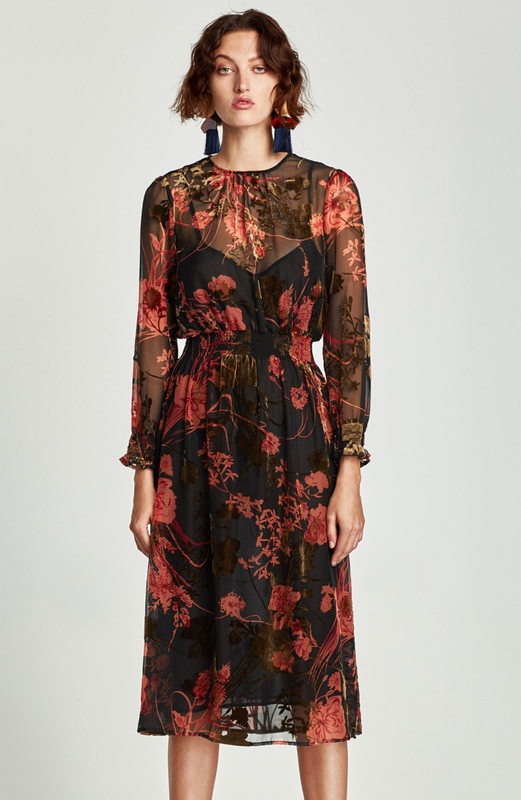 I’ve been looking online at this gorgeous dress, I’ve yet to see it in store to try on – this is definitely on my hit list, especially to go with my red boots! Simply forget this one if you have a large bust line, this is a very deep V-front for a wrap dress – I did love the pattern, the material and even the skirt line as the hem comes up at the front, unfortunately this dress did not like me. 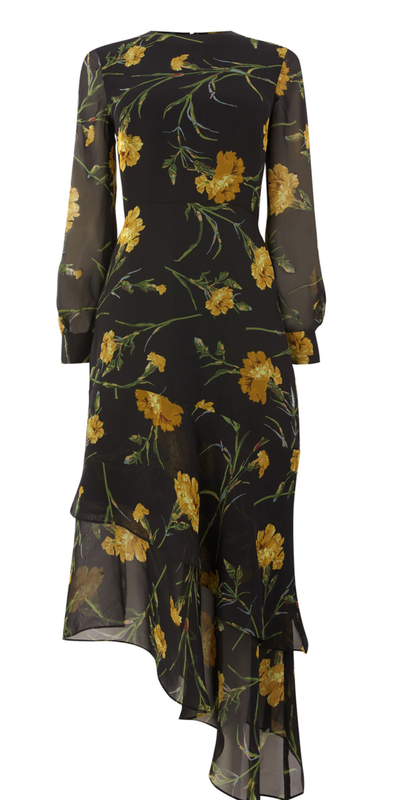 I think if you are pear-shape with a small bust – this would be perfect for you! I really loved the fit of this one, it’s so similar to the purple dress above plus it has a closed back. Once I got it on, I was less keen on the colour and I found the floral pattern was too big for me too – it’s one to try on to see if it suits you. Now I think I am still considering this one, I bought it for a party but once it arrived and I tried it on, I just knew it would not be right for that event. With a head on to find the right dress I returned it. I saw it in store again over the weekend, and whilst I was a little concerned about the “little house on the prairie” look, there is something about it that I just love. May have to try this one on again! I love this pattern and Warehouse has chosen to use it for more than one garment. I really liked this dress on, I just can’t get away with the skirt for work, it’s a little too frilly, fabulous though for a weekend party. 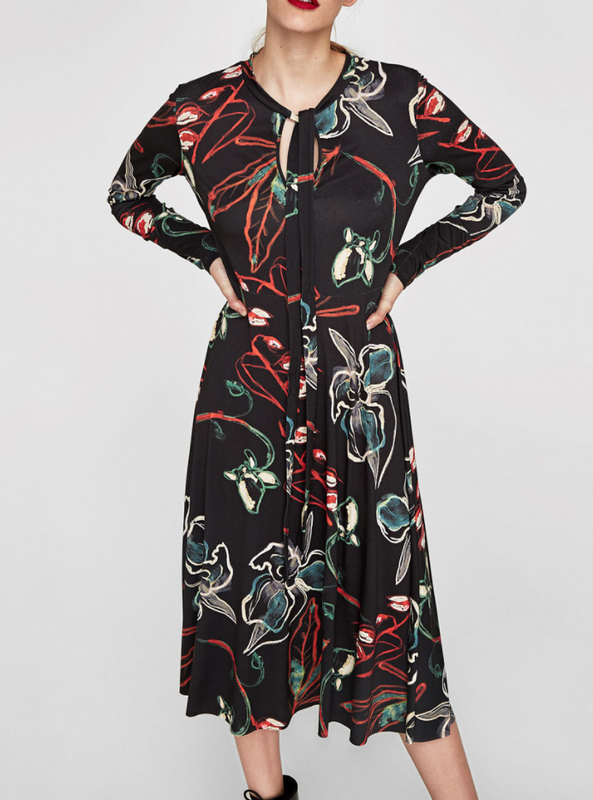 And in fairness to Warehouse they suggest it’s a weekend dress – I highly recommend a try on, as this pattern is simply gorgeous. 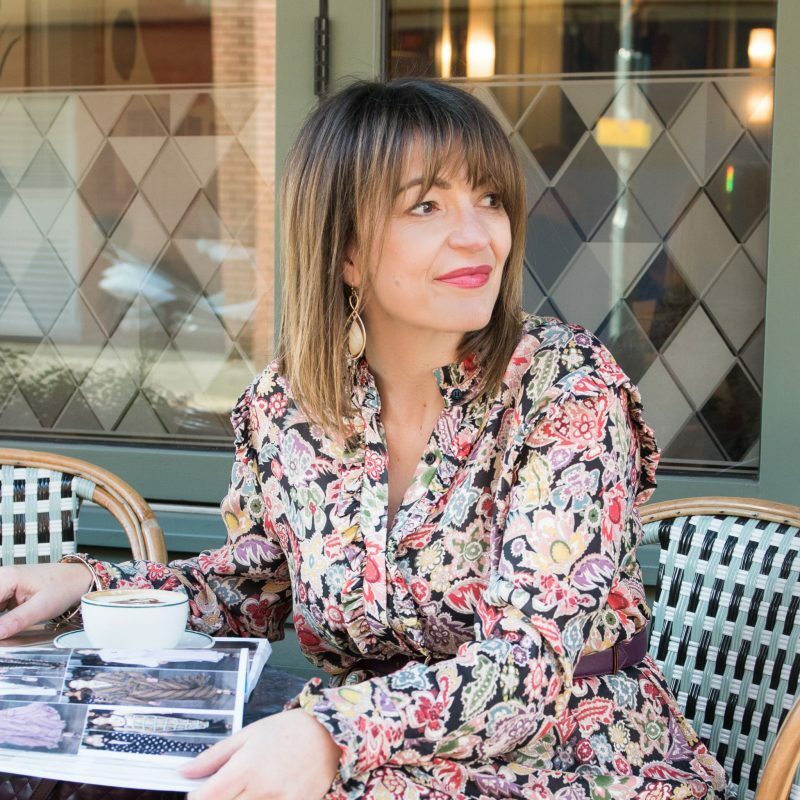 The post The best Floral Dresses for this Winter ’17 was on Loved by Lizzi first. Previous Post The Claudia Winkleman blouse and many more!